Minnesota Pollution Control Agency officials are opposing a recent federal government move that could lead to increased diesel emissions that can cause heart and lung problems, and contribute to climate change. The federal Environmental Protection Agency last week effectively removed limits on manufacturing of glider kits — freight trucks that use outdated engines producing between 20 and 55 times as much air pollution as modern ones. 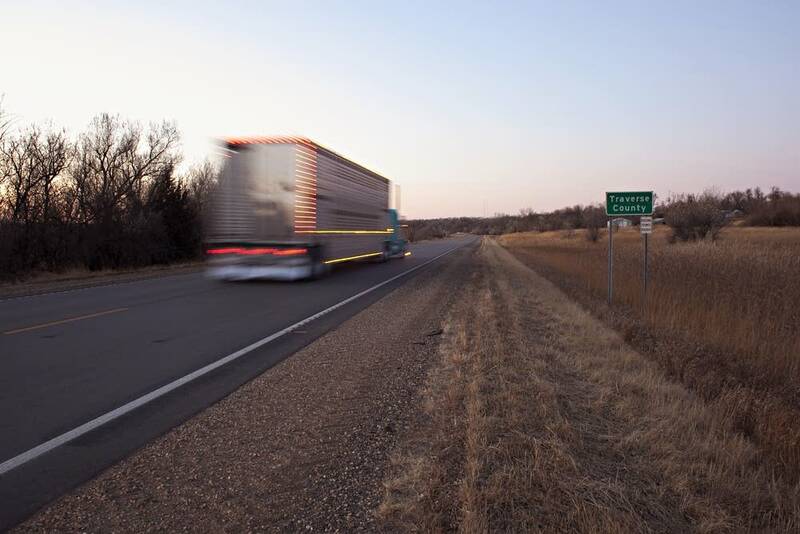 "It is just disappointing to see EPA make a decision that will allow more polluting vehicles on the road when we spent a significant amount of time trying to reduce the emissions of these kinds," said Frank Kohlasch, manager of the MPCA's air assessment section. Kohlasch said the MPCA's main concern with glider kits is how much fine particle pollution they release. When breathed, the fine particles can make their way deeply into people's lungs and even the bloodstream. Studies have linked fine particle pollution to premature death, heart attacks, irregular heartbeat, asthma, and other respiratory issues. People with existing heart and lung issues are at greatest risk. Older diesel engines used in glider kits also emit nitrogen oxide, Kohlasch said, which can harm lungs and create ozone pollution. A typical glider kit is sold as only a truck frame and cab. Engine, transmission and axle are added later. Companies market gliders as affordable alternatives for smaller companies or independent truckers. But in recent years, they've become a way around emissions rules and other regulations. Trucking companies and manufacturers could drop in an old engine that wouldn't necessarily meet modern emissions standards. Scott Pruitt, the former EPA administrator who stepped down after a tenure laden with controversy, stripped the glider kit regulations on his last day in office following intense lobbying by a Tennessee-based manufacturer. Kohlasch said there's no data on exactly how many glider trucks are on Minnesota roads. That's an issue with emissions regulation nationally, he said. Gliders are often used in long-haul trucking, so they're registered in one state but work in many. Minnesota regulators are working with other pollution control agencies to figure out next steps, Kohlasch said. "We are charged with trying to reduce air pollution," he said, "and allowing these kinds of vehicles, or more of these vehicles, on the road means that we will have to find those emissions reductions from other sources."